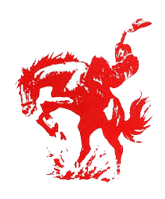 Grandfalls-Royalty Independent School District, located 17 miles south of Monahans on Highway 18, mixes small school charm and progressive teaching to foster engaged learning and excellence in all students. The faculty, staff, and administration provide a first rate education second to none. Grandfalls-Royalty ISD enjoys the resilient support from parents and their organizations. The relationship between the school and the parents of Grandfalls-Royalty benefit the school immeasurably. The active Parent Teacher Organization (PTO) and Athletic Booster Club continually strive to assist the district in providing first class facilities and opportunities for our students and teachers.